To finish off our remaining crab left overs, we pulled out one of Bryan’s grandfather’s pasta sauces out of the freezer to make crab pasta. 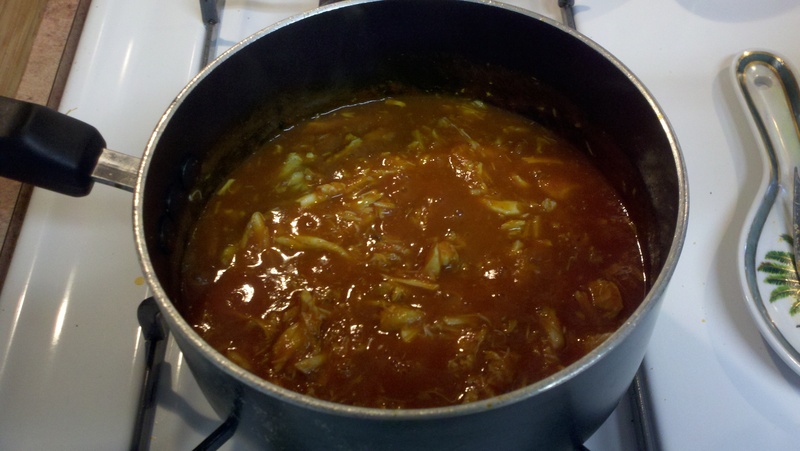 The Ercolano family sauce recipe is bar none. Feel free to make it more often, Bryan. No room for subtlety here. 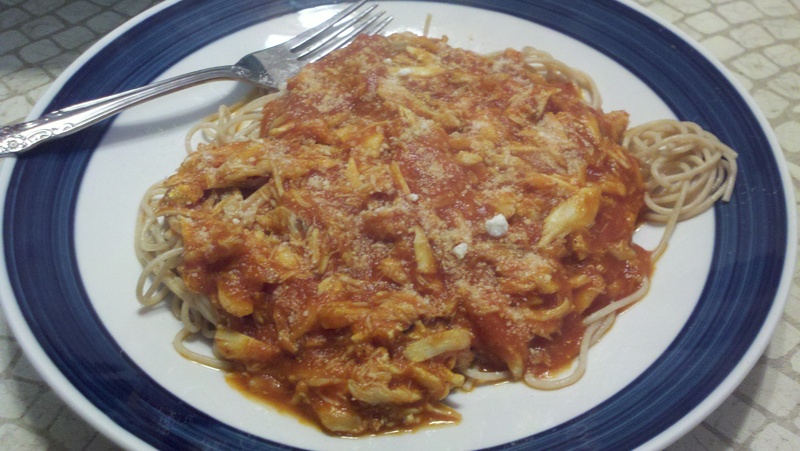 This was a super easy meal- simply heating up some sauce, throwing in some crab, and preparing the whole wheat angel hair. I plan to do more “Week Of’s” in the future. One being a week of ___ fresh herb. I hate hate hate when you buy a big bunch of herbs and you only need like a tablespoon for a recipe. Next thing you know the leftovers have started going bad in the fridge and you have used 2% of it. Rant complete. How do you all deal with left overs? 1. Heat a small saute pan over a medium heat. 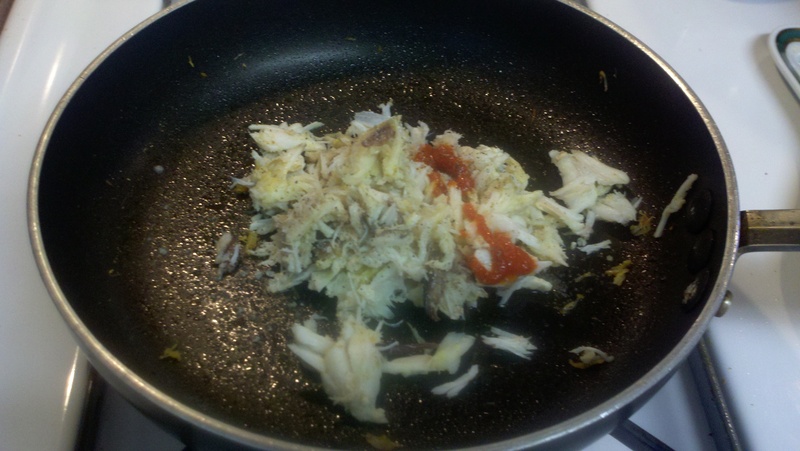 Once adequately warm, add olive oil, crab meat, lemon juice, a few dashes of Sriracha, and a little S&P. Saute around for a few minutes and reduce heat to low to keep warm. 2. Next, spray another small saute pan with ample nonstick spray. 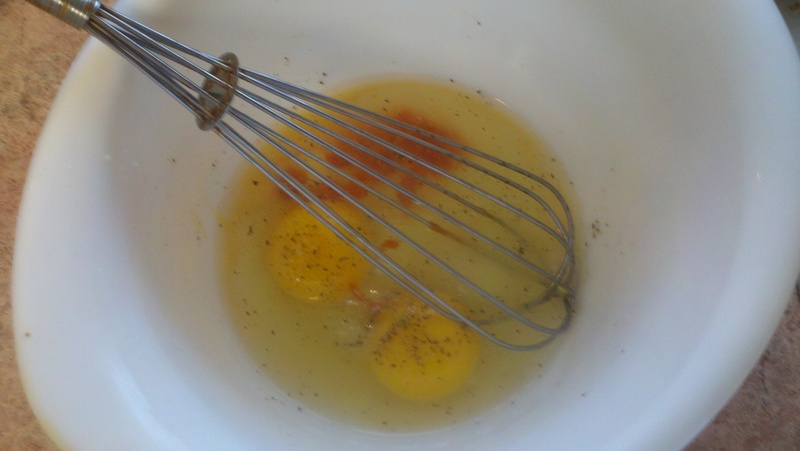 Whisk eggs, a more dashes of Sriracha, and a little S&P together. 3. Heat nonstick sprayed pan over a medium heat for a minute or so and add your egg mixture. As the eggs starts to set, you will want to maneuver the edges with a spatula gently to get the uncooked eggs to the sides. 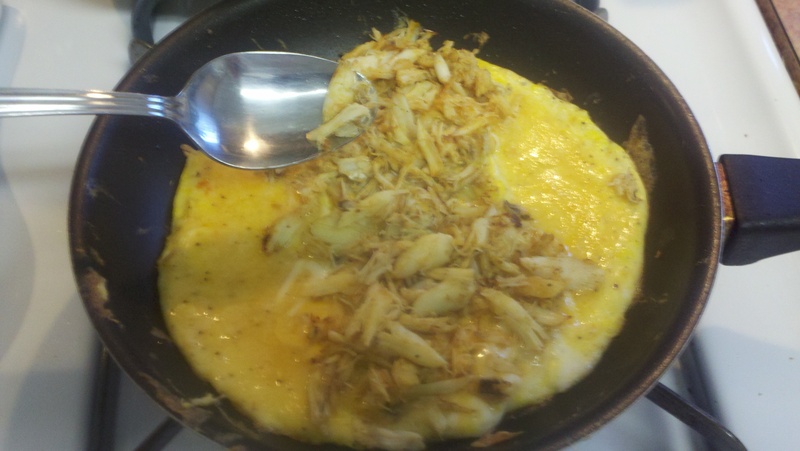 Once there is no more egg flowing to the sides, add your crab down the middle of the omelet and sprinkle a few pinches of shredded cheddar atop it. 4. 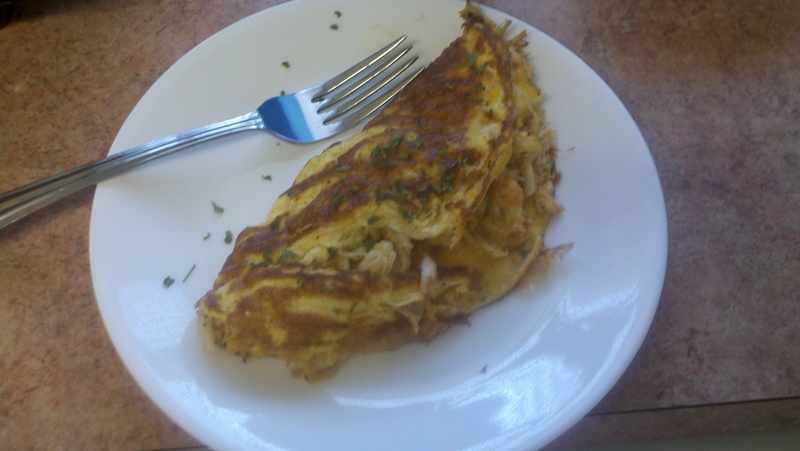 Using spatula, gentle fold one side over the other and garnish with some parsley. Nom nom!